In any type of relationship, communication is one of the primary ways to ensure you are all on the same page. The earlier you can communicate with your other children about ASD, the more you will contribute to the development of an open-minded, empathetic perspective. Give your children permission to ask questions about ASD and let them tell you what they think about ASD. This can lay the foundation for future conversations. This will help you better understand your child. During my time at Elon University, my sorority (Alpha Xi Delta) worked closely with Autism Speaks. 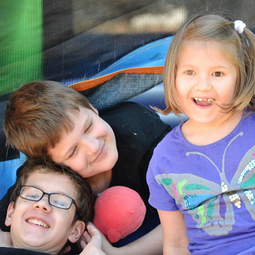 Our philanthropy events yielded incredible opportunities to develop relationships with local families affected by autism. The Mitchell Family became an integral part of our philanthropy work, and they offered insight into how their two youngest children support their oldest child who has high functioning autism and how communication has played a huge role in their family's views on autism. The Mitchell parents expressed how vital conversation is in their household and that they've always been open with their children about ASD. "We've simply made sure the kids know that autism may make their brother different, but that it is NOT a bad thing. We actually treat it as no big deal." Communication with your children about ASD should not be a lecture, it is important to listen to your children to get a sense of what they understand and where they may struggle. Parents can help foster healthy emotional development by closely listening to their children’s thoughts and feelings and supporting them. Siblings may feel uncomfortable with some of their ASD sibling's behavior. They may not know how to cope with people at school telling them their brother or sister is different. They may be frustrated that they are not getting your undivided attention. I reached out to a childhood friend whose older brother is on the spectrum. Her advice to parents and other siblings? "Remind yourself to always have patience and to remember how you react to them is how you teach other people to react." Listen with an open mind, an open heart, and open ears. Meet your other children where they are so you can help them get to where they need to be. Most importantly, continue these conversations throughout their lives. As they get older, your conversation topics will shift to content that is developmentally appropriate. You are helping them grow. Help your children find fun activities and ways to bond with their siblings.There is also opportunities for your children to play a major role in your child with autism's development. By playing certain games with them that enhance their motor skills, cognitive skills, or emotional skills, your children are interacting and having fun, but also exercising the mind in positive ways. Make sure you let them know how much help they are being to their sibling, and to you. This gives them ownership and excitement to play this kind of part in the family dynamic. Enlist your children in helping your child with ASD better understand emotions. Try using the Language Builder Emotion Cards from Stages Learning. Your children can play “Emotions Go Fish” and other games to help their sibling better understand emotions. My childhood friend and her brother, both in their twenties now, reflected on her and her brother's childhood relationship. She explained that as a kid, her older brother was always willing to play games and interact with her, which as the youngest sibling allowed her to enjoy the typical aspects of childhood. 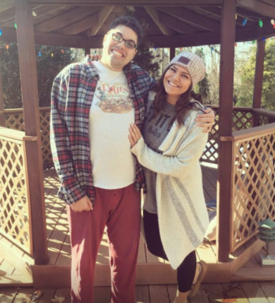 What she learned in retrospect was how much she helped him grow and how essential having patience is when interacting with any individual with ASD. "I think the biggest challenge I faced was accepting that his autism was going to change his reactions to people and situations. As a kid it was really hard for me to grasp that and I used to get mad or annoyed with him for acting out in situations that were too high stress for him." Being able to intervene and discuss the emotional and physical reactions to these situations will give your children the opportunity to better understand their sibling on the spectrum. It will groom their skills to handle similar situations in the future. And as Mrs. Mitchell explained as well, "They definitely have a more mature understanding of how to treat others than many of their peers." This can be tackled in a multitude of ways. First, it's incredibly important to set aside daily time to have one on one talk time with your other children. Have conversations about their day at school, their interests, or concerns and worries they have. Other special and planned opportunities to interact with your other children can happen on a weekly basis. Maybe your child is dying to see the new Emoji movie in theaters, so you find a sitter or trusted family member to watch your child with ASD and give full attention to your other child. Context analysis is essential; depending on the event setting, you may have to make decisions on whether or not your child with autism will be comfortable being there. For example, if your other child is in a band concert or play you need to determe if your child with ASD might be overwhelmed. Will they be outspoken and be a distraction? Some parents may feel as if leaving them behind may not be ideal, but sometimes this might be the right choice to make depending on the limitations of your child with autism. While this is not a step by step protocol on how to support siblings of children with autism nor is there one correct way to approach this type of support because it varies by circumstances and resource, but three strategies are absolutely essential: carving out the time, fostering open communication, and infinite displays of love will help support your children. Danielle Fowler is an Ed.M student at Harvard University’s Graduate School of Education studying Human Development and Psychology. Danielle recently graduated from Elon University in North Carolina and has a background in Psychology and Early Childhood Education. 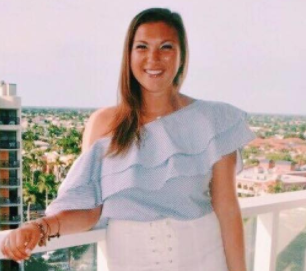 Through her work as philanthropy chair for her sorority, Alpha Xi Delta, Danielle was able to work directly with Autism Speaks and families with connections to autism. These experiences have ultimately shaped her passion to become a child clinical-developmental psychologist, where she can provide the utmost support and guidance to children’s developmental journeys.